What do L’Oreal, Mars, Nutella, and the Gap all have in common? Women. While the archaic belief that women should stay at home hasn’t totally died in the 1950s where it belongs, women have still progressed to do great things all over the world. 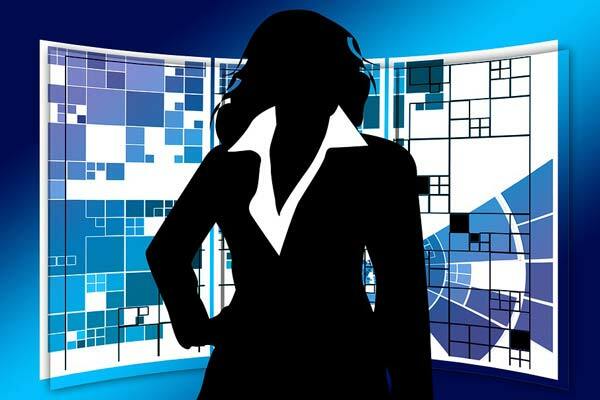 However, women are still not recognized as powerhouses in the field of business. To prove that, here’s an example: think of a billionaire. Although gender isn’t mentioned, Bill Gates or Mark Zuckerberg probably came to mind. This is a perfect example of gender disparity; men and women alike should be praised for their achievements and contributions to the business world. Though Women’s History Month has come and gone, it is important to recognize the people who make up half of the world’s population (but only 4% of Fortune 500 CEOs!) year round. Here are four successful women who are involved with companies we know and love. Liliane Bettencourt may not be a household name, but she’s a big part of a well-known brand name. Bettencourt is a 94-year-old Parisian businesswoman and one of the main shareholders of the make-up company L’Oreal, which her father founded. She started out mixing cosmetics, worked her way up in the family business, and now owns about one-third of the company. According to Forbes, she is the richest woman in the world, and the 14th-richest person in the world as of 2017. Her net worth of $39.5 billion places her just below Sergey Brin of Alphabet, Google’s parent company. Jacqueline Mars owns one third of the company Mars, which is mostly known for their candy products, though they also make pet products and other foods. Although Mars’s net worth is $27 billion and she has had great success in owning and managing her grandfather’s company, she has also had self-made successes. She is on the board of trustees for multiple organizations, including the US Equestrian team. She is a big animal lover and has recently invested in a corporation that provides care for animals. Although she retired from the board of directors for Mars, Inc. in 2016, her niece Victoria took over as chairman—another major success for women in business. Maria Franca Fissolo owns Ferrero group, the company that has brought us Nutella, Tic-Tacs, and Kinder eggs. Although the company belonged to her husband Michele Ferrero’s family, she took over after he passed away and plans to keep the business in the family. She currently lives in Monaco. Her net worth is $25.2 billion, and she is the 29th-richest person and fourth-richest woman in the world, according to Forbes. Doris Fisher was a woman who revolutionized the fashion industry when she co-founded the Gap with her husband, Donald Fisher, in 1969. They were inspired after being faced with a lack of well-fitting jeans, and although they did not have any entrepreneurial experience, they opened their first store with $63,000 they raised themselves. The first Gap store sold vinyl records as well as Levi’s jeans. Fisher’s first success would later become part of a bigger conglomeration of stores that includes Gap, Old Navy, and Banana Republic, making Gap, Inc. one of the most successful companies in the United States. She recently retired from the company’s board in 2009 but remains one of the biggest female self-made successes; as of 2017, her net worth is a whopping $2.6 billion, according to Forbes. She was also one of the first women to earn a degree in Economics from Stanford University. These are just four of the many women who have been successful in the business world. These women have all demolished stereotypes; they’ve proved that women can lead companies to success and find self-made success as well. They show young girls they can work in male-dominated industries (if the hundreds of men featured in Forbes are any indication), and that they can break glass ceilings on the way to the top. Before writing this article, I didn’t know who any of these women were. Like other girls, I grew up learning about the Warren Buffetts and Jeff Bezoses of the world. But these successful businesswomen really make me feel inspired and encouraged. Many universities today are creating programs to push forward young women in business. Additionally, high school students can get involved early on, with many colleges offering summer programs that help girls identify a potential career interest that could lead them to one of the top spots on Forbes’s list. Or, what better way to enter world of business than to start your own. After all, anything is possible, because we can.